A while back, I was given a practically brand new Dan-Vice by a great guy named Brandon. My initial plan for this vice was to tie up some gar lures - they weren't going to be pretty and the term fly would have been an outright lie - but that never really happened, and the vice just sat there collecting dust. Fast forward a few months to when I decided to start fly fishing...it wasn't long before I was becoming addicted! Once I caught my first fish on the fly, and took a few solo fly trips, I was officially hooked. Following my trip with my buddy Sam where I caught my first coho on the fly, I developed an overwhelming urge to attempt tying my own flies! With that, I hit the great information highway we call the internet in search of a few patterns that I wanted to tie for different species like pike, steelhead, bass, and carp. Once finding these patterns, I made a materials list in Excel and then I went shopping on Ebay! For no more than $40, I ordered a bunch of materials to get me on my way. 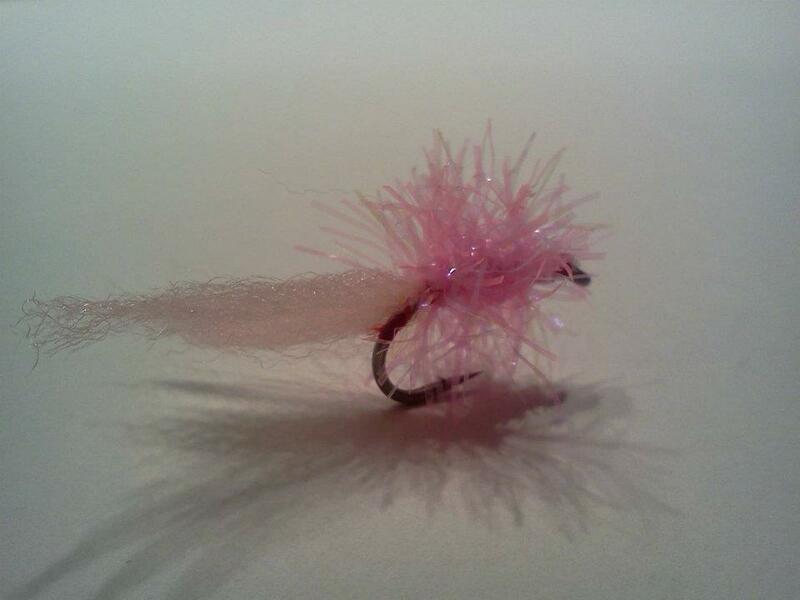 The first tie that I decided to tackle was a pattern that I saw on the blog Illinois-Wisconsin Fishing called the Estaz Egg. 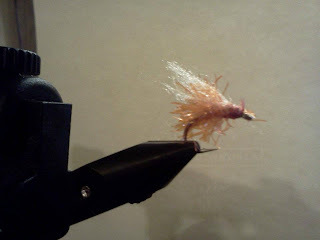 I ended up tying a few of these last night and by the last one, I was starting to get the hang of this! If you are a friend on the BrookFieldAngler Facebook page, you may have already seen these - if not here they are!! Overall, I am quite happy with the results! I still need to get used the whole whip finishing thing as this seems to be the biggest challenge right now. I am currently trying to do it by hand and may buy a whip finisher to make things easier and to be a bit more precise with the thread placement. 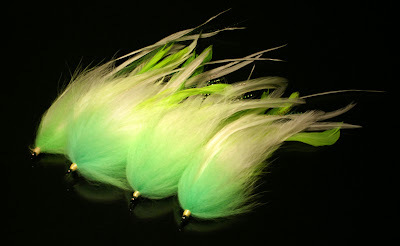 My next fly will be an awesome pike fly from a guy named Simon who lives on Replot Island in Finland. 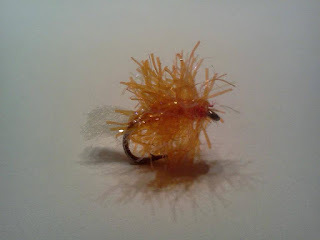 His blog can be found here and the fly is called a Replot Stinger. This will be done in time for the upcoming pike spawn! Your Estaz Eggs look pretty good but you might want to consider tying in a bead or cone head so you don't have to add shot to your line. Thanks, John. I thought about that, but I have an issue of weighted flies snagging more than un-weighted flies. I figure if I put my shot 5" above the un-weighted fly, it deflects off of obstacles like tires, bodies, etc... a bit easier. Sorry about that last post, I am going to get my version of the Replot Stinger made and maybe you could try some of them when I am done!!!!! ...or maybe you can learn how to cast a fly rod and try them out yourself! That's the funny part, I can already cast a fly rod. I used to love it and now that I think of it, my dad has a very expensive rod I could use. I will have to put the arm on him to bring it back from his house up north. BTW, we need to get up there sometime and do some musky and eyeball fishing. He has some nice skis and that lake. Only problem it is 5 1/2 hours from my house.